Berlinale 2019: On Monday 11 February, two events cover the adaptation from books to the screen. NORLA invites literary agents to present books made for film to producers at Norway House, and Berlinale and Frankfurter Buchmesse organise “Books at Berlinale” – an event where 12 books are presented to producers. One of the chosen books is Simon Stranger’s Keep Saying Their Names. Additionally, at Books at Berlinale, Norway will present itself as Guest of Honour at Frankfurter Buchmesse 2019. NORLA, in cooperation with Books at Berlinale, invites German producers to meet Norwegian literary agents and Norwegian producers to meet German publishers and agents. Norway is Guest of Honour at Frankfurter Buchmesse 2019. Norway’s programme and presence as Country in Focus is supported through the Guest of Honour project and its organisers NORLA, Norwegian Literature Abroad. Together with Books at Berlinale (Frankfurter Buchmesse and Berlinale) we are hosting an event in Norway House where Norwegian literary agents will present Norwegian books that should be adapted to the screens and where German publishers and agents will meet Norwegian producers to present German books that should be adapted. Books at Berlinale is a collaboration between Berlinale and Frankfurter Buchmesse 2019. This year, Simon Stranger’s book Keep Saying Their Names is one of the 12 chosen books and Norway will present itself as Guest of Honour at Frankfurter Buchmesse 2019. On February 11, at “Books at Berlinale”, producers can discover twelve impressive literary works that could be turned into films. The selected books will be showcased at this popular presentation, which has been a part of the Berlinale Co-Production Market since 2006. At Books at Berlinale this year, Norway will present itself as we are Guest of Honour at Frankfurter Buchmesse 2019. The over 160 submissions received from more than 30 countries this year represent a new record number of applications. We are proud to announce that the Norwegian book Keep Saying Their Names by Simon Stranger are one of the chosen books that will be pitched at Books at Berlinale this year. The book will be showcased by his agent in Oslo Literary Agency. All chosen books can be found here. 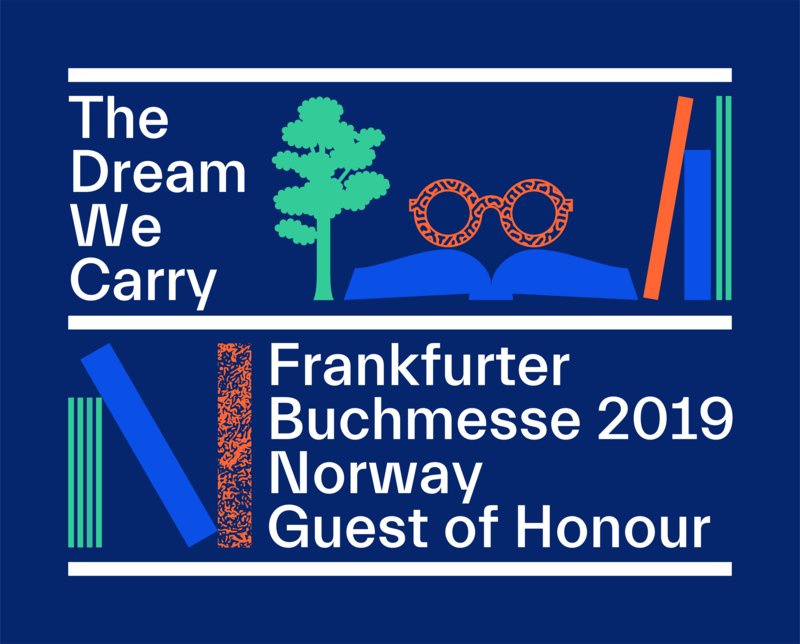 In 2019, Norway is Guest of Honour at the Frankfurter Buchmesse. As Guest of Honour Norway will organise an extensive literary and cultural programme throughout 2019. Both in the German speaking area as well as internationally and in Norway. The project culminates at the Frankfurter Buchmesse in October 2019. Norway as Country in Focus at EFM at the Berlinale is supported through the Guest of Honour project and the Norwegian programme is part of the cultural programme as Guest of Honour. The motto for Norway as Guest of Honour is ‘The Dream We Carry’. It derives from a poem by Olav H. Hauge. It expresses the wish we have that Norwegian literature and arts will open doors to and hearts of an international audience. Norway as Guest of Honour at Frankfurter Buchmesse is Norway’s largest cultural export project ever. Norwegian literature abroad, NORLA, is organising the project on behalf of the Norwegian Government.